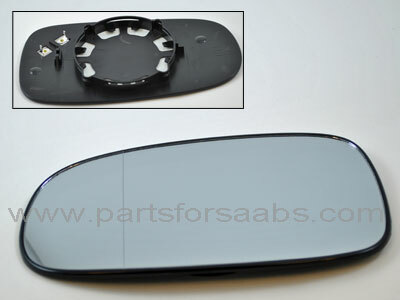 Heated mirror glass identical to the genuine Saab glass in all respects except for the price! Please note although this can be used to replace a glass which has auto dimming it is not an auto dimming mirror glass, these are only available as genuine Saab and cost around 6 x the price. Please note picture shows rear view as well as front view of mirror.